Thank you for your interest in Morey’s Piers 2019 Work and Play program. The response to this unique opportunity has been overwhelming! As such, we have closed application for this program. In the meantime, please check out the other wonderful job opportunities we have at Morey’s Piers this summer! In addition to a free Wild Pass, as well as up to 4 discounted dependent Wild Passes, do I also get paid while participating in the Work & Play program? Absolutely! All Work & Play Associates will receive the starting rate of pay for the position they are assigned. All Associates are paid, by check, on a bi-weekly basis (every other week). Paychecks are distributed every other Friday, after 10:00am, from Wardrobe, located at Mariner’s Pier. The pay week runs from Monday through Sunday, with paychecks for the previous two weeks of work, being distributed the following Friday. Due to the fact that we are a seasonal amusement industry for the public, we do not offer, and are not required to offer, overtime pay to seasonal Associates. Work & Play Associates are paid a flat hourly rate of pay, regardless of the number of hours worked per week. Yes! Direct Deposit is available to all Work & Play Associates. 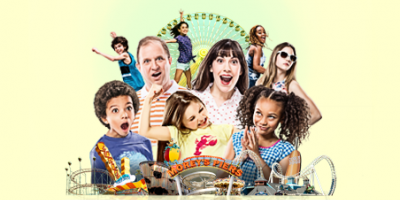 Work & Play Associates who are interested in participating in Morey’s Piers Direct Deposit program should fill out a Direct Deposit Authorization Form upon beginning work. It will take approximately 1 – 2 pay cycles for Direct Deposit to “kick in”. How many operating days will I be required to work, to meet the requirements of the Work and Play program? Work & Play Associates are required to work 8 operating shiftsin order to meet the requirements of the Work & Play program. Shifts generally range from 5 to 8 hours in length. How will I know which 8 days I will be required to work to meet the requirements of the Work & Play program? During the interview process you will be required to provide at least 8 shifts of availability from the list above. Please come to the interview prepared to commit to at least8 of the above shifts. It is best to come to the interview with more than 8 shifts of availability, as when the slots for the above available shifts fill up, those shifts will be removed from the list of choices. Are there any additional days of work required, in order to meet the requirements of the Work & Play program? The above trainings are usually conducted on 3 separate days, with the facility tour being conducted on the same day as one of the other 3 trainings. Multiple day, evening, and weekend time slots are available for the above required training programs. What happens if I am not able to work on one of my 8 agreed-upon shifts? If you are not able to work on one of your 8 agreed-upon shifts, every effort will be made to reschedule you for an alternate shift so that you can complete the requirements of the Work & Play program. However, the opportunity to reschedule is not guaranteed, and is subject to availability, operating schedule, and staffing needs. Once I have completed my 8 required operating shifts, are there any other requirements that I need to fulfill to keep my Wild Pass and my dependent pass(es) active? Just two! First, you need to return all uniform items that you were issued from Morey’s Piers Wardrobe Department. Second, you and your dependents need to follow all policies and procedures when using your Wild Pass as a Guest! What happens if I do not fulfill the requirements of the Work & Play program? If you do not fulfill the requirements of the Work & Play program, your Wild Pass and all dependent Wild Passes will be deactivated. Reactivation of Wild Pass and dependent passes can occur if the cost of the passes, at the time of deactivation, is paid. On most occasions, Morey’s Piers continues to operate in a light rain or mist. Ponchos are provided and some Associates have access to a covered area or an umbrella installed at your work location. If Morey’s Piers closes early on a scheduled operating day due to inclement weather, you will receive credit for working that shift, as one of your 8 required shifts. If Morey’s Piers decides not to open at all on an operating day, due to inclement weather, you will need to work a different operating day, in order to fulfill your 8-shift requirement. That additional day can be one of the shifts listed above, or a day not listed above IFmutually agreed upon by Pier Management and the Work & Play Associate. What kind of uniform do I need? Is company parking available to Work & Play Associates? Unfortunately, with approximately 150 year-round Associates and 1500 seasonal Associates, Morey’s Piers is unable to provide parking for most Team Members. However, there is ample free street parking west of New Jersey Avenue. In addition, there are many paid parking lots and metered parking spaces in close proximity to the piers. Do grandchildren qualify for dependent season passes? Unfortunately, Grandchildren do not generally qualify for dependent season passes. Dependents would normally be a spouse or children who you would claim on your income tax form however there may be special circumstances where others might qualify.